Our systems are designed for commercial and multi-family applications, no matter how large, complex or demanding your heating requirements are, or how old or new your building is. Our product focus is on creating systems that are easy to install, program and manage, and that save building owners the maximum amount possible on yearly fuel costs while maintaining heating comfort and extending boiler life. If you are a hotel operator, apartment building manager, School/University or campus operations manager, or HVAC professional looking for a modern, wireless, futureproof solution to boiler controls you can begin your search using our Product Finder or look at the categories of products we provide below. The Heat-Timer Platinum series is a product line tailored to the needs of commercial and multi-family boiler controls. The Platinum line is “self learning” and allows wireless sensor and control integration for easy retrofit into old or new buildings. Heat-Timer’s popular line of Motorized Valves integrate seamlessly with our boiler control system to fully control heating throughout your building. 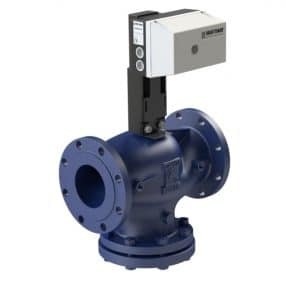 Our 2-Way valves can modulate or turn On or Off the flow of steam. Our 3-way valves are used to mix water to a desired temperature. The hot water from the boiler is blended with a proportion of the cooler water returning from the system to maintain the correct water temperature entering the system. In steam applications, these valves are often used in conjunction with one of our MPC Platinum series controls. See our full line of Motorized Valves here. 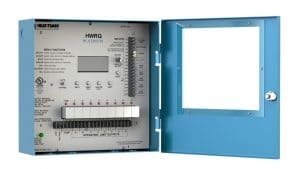 Heat-Timer makes the DIGI-SPAN Elite series for the control of single or multiple boiler systems. These controls are the perfect energy saving outdoor reset controls for residential and light commercial heating applications. All of the DIGI-Elite Series controls come with a digital display, adjustable reset ratio, offset, and outdoor cutoff. See our full line of light commercial controls at our Digi-Span Product Page.